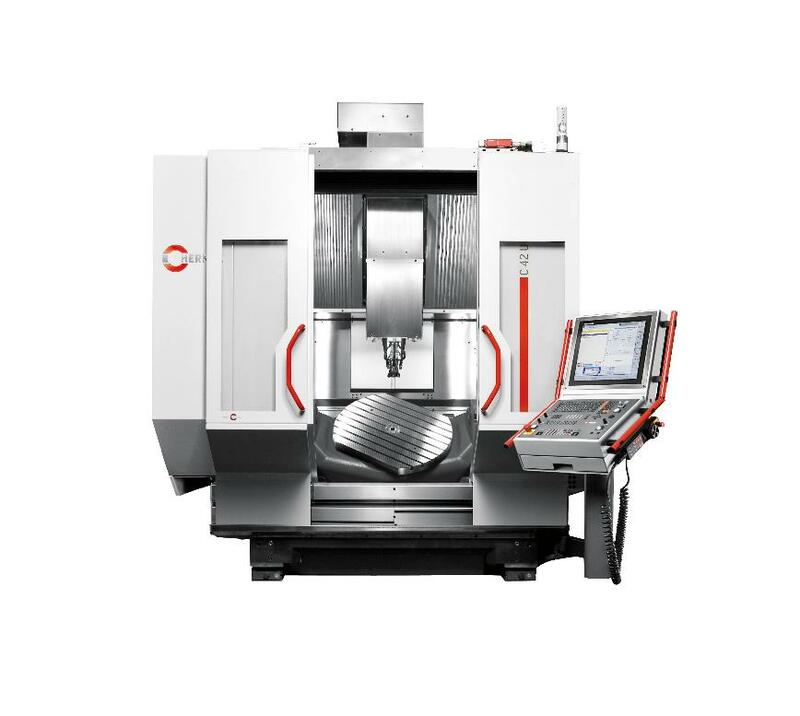 5-axis/5-sided machining means the C 42 lends itself to be used in every application area. With traverse paths adapted to the workpiece size and perfectly designed for 5-axis applications, the C 42 is ideal wherever complex, close-tolerance components are required. This includes various applications in the tool and mould making, medical, aerospace, motorsport, machine sectors and other industries: The C 42 machining centre is at home in every area. The space-saving circular tool magazine integrated into the base body of the machine works according to the pick-up principle - thus enabling quick tool changes. In the standard version, the C 42 can hold 42 tools and can be extended to 192 pockets. The control panel can be easily adjusted to the respective user. Milling and turning in one clamping with the C 42 U MT dynamic model. 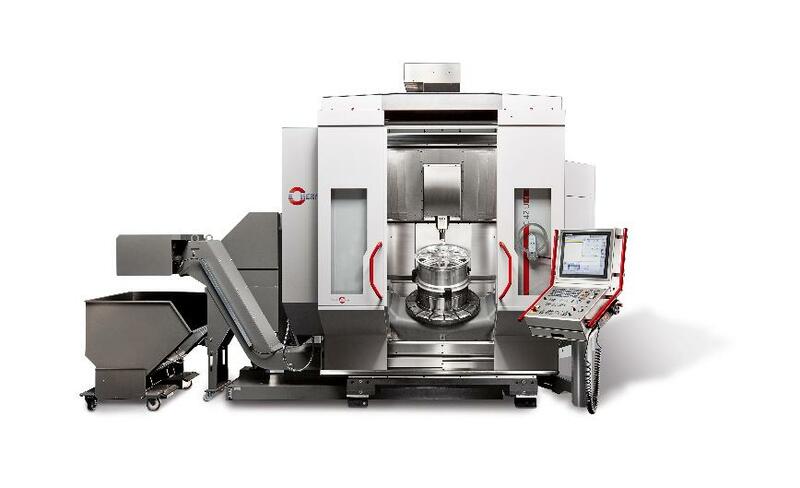 Fully integrated rotary table that does not interfere with demanding milling processes and 5 axes simultaneously.